I met with my son the day after his graduation from college to discuss ministry development – more specifically, church revitalization. He has had no interest or involvement with church orthodoxy in it’s current “popular” state. However, he has remained deeply connected to the body of Christ, enlivening hope where he sees the opportunity through this connection. He continues to inspire the CWAC work area efforts as it’s youngest member. 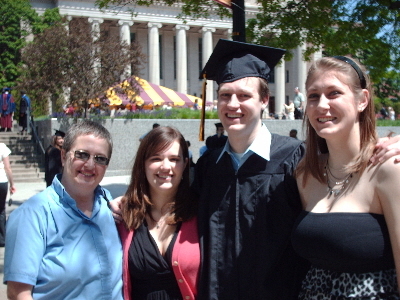 Ezekiel graduated this May from the University of Minnesota with a degree in international business and finance with a minor in accounting (the latter being his move towards accommodating the current job market). I hear him say he sees the need to recognize people’s labor/handiwork as more than a commodity for trade. He has a sense for the global nature of community. And even more, Ezekiel values the worth of participating in community. With compassion and the sense of enjoyment, Ezekiel has been involved with the University YMCA since his arrival at the UofM.